The second book in the Dr Pimms, Intermillennial Sleuth series sees Dr Elizabeth Pimms drawn into a new mystery involving ancient female Mayan rulers, more family secrets and brilliant new recipes. 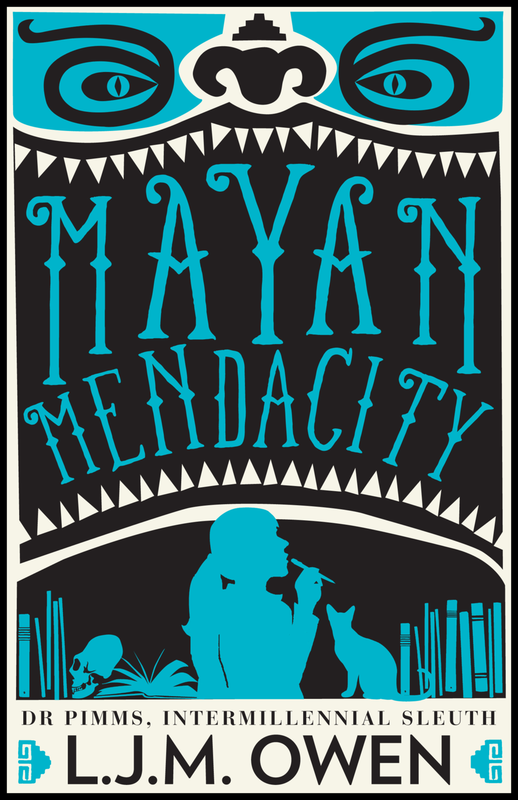 Mayan Mendacity is available for purchase at Booktopia, and in all good bookstores across Australia and New Zealand. For international purchase with free delivery worldwide, please click through here to Book Depository. The Dr Pimms series is available in e-book through Amazon, iTunes, Kobo and other regular online booksellers. Back to the Dr Pimms page or on to the next book in the series.